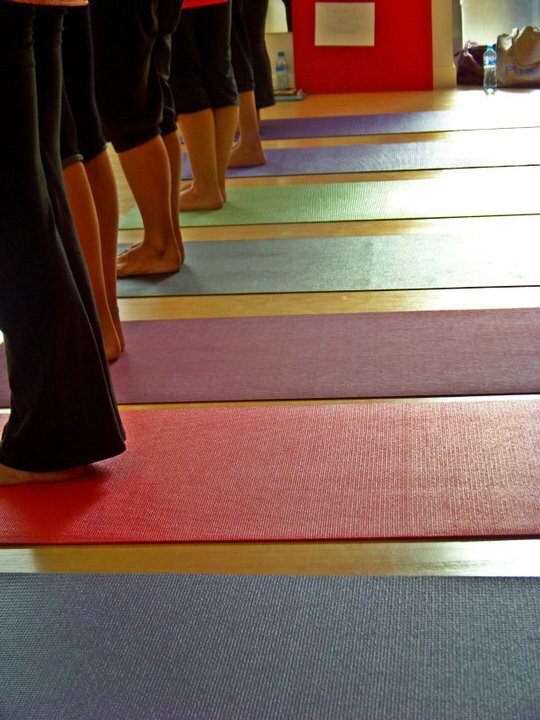 YOGIS TESTIMONIALS AND REFLECTIONS. 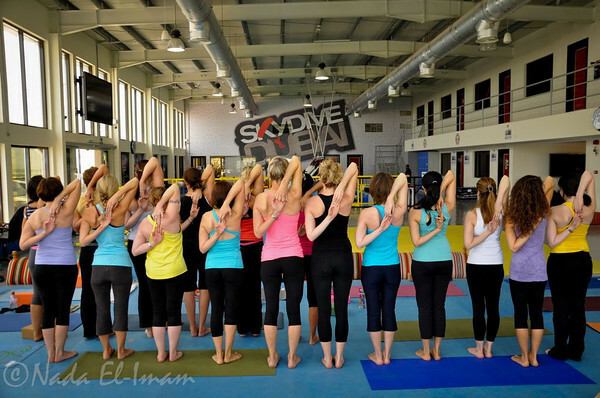 . .
A priceless moment and yogic seal of approval during our 200hr Yoga Teacher Training in 2013 captured with Dubai Crown Prince - His Highness Sheikh Hamdan at Skydive Dubai, UAE. 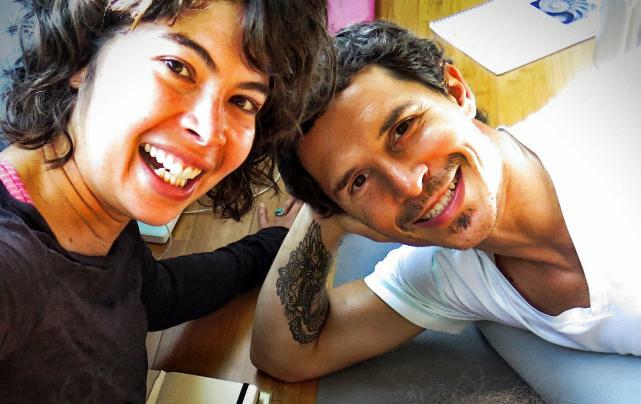 Clara Roberts-Oss and Nico Luce joined forces to deliver a 'one of a kind' and very first 100 hour Advanced Vinyasa Yoga Teacher Training in Dubai, designed for current teachers and graduates of a 200hr Yoga Teacher Training, to hone their teaching skills, deepen their understanding of Vinyasa Yoga [Prana Flow, Forrest Yoga, Power Yoga, Anusara, Jivamukti, Classical Ashtanga], go deeper into the anatomy of an injured body and ways to rehabilitate, lead their own 30 minute classes receiving expert feedback from Nico and Clara and learn how to weave two key ancient masterpieces that reshaped spirituality in the eastern world, the sacred texts of Bhagavad Gita and the Chinese Taoist principles on the art of living into their class themes. Zephyr's 30 hour Therapeutic Elements of Yoga Teacher Training welcomed yoga and pilates teachers / practitioners, nutritionists, health & lifestyle therapists all looking to build, tweak, refine and sharpen their therapeutic background and application in a yoga practice - from fascinating discussions of postural integrity and the spine, physical manifestations that stem from mental challenges, lifestyle and genetic predispositions, anatomy and function of the feet, knees and hips, the importance of creating a strong foundation (feet, knees, hips) to address the rest of the body, evaluating postures, improving range of motion to ease chronic pain in areas around the shoulder and neck. 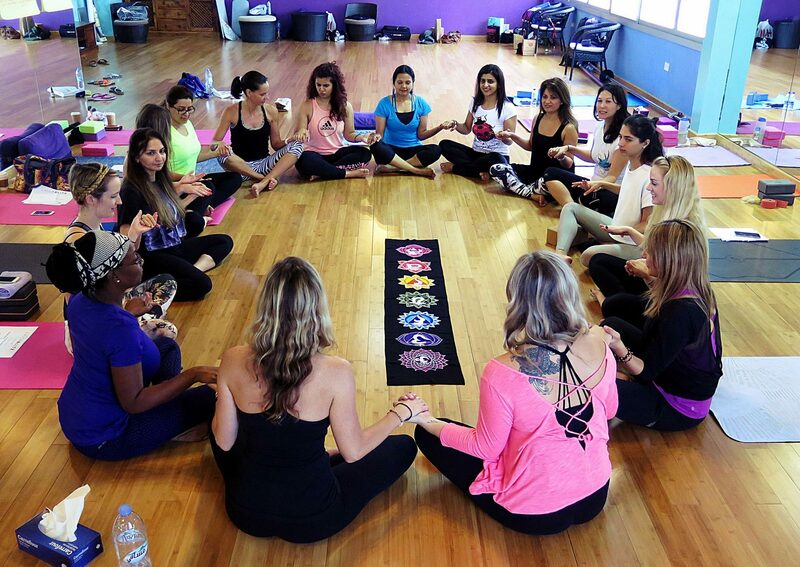 A dynamic group of trainees from all walks of life - nutritionist, life coach, artist, budding yoga teachers, passionate yogis, clinical psychologist and one male osteopath, made up this incredible group of teacher trainees embarking on a month long journey of practicing, teaching, and learning 200 hours of Yoga crafted by Santa Barbara based master teacher Erica Blitz Yoga - focusing on the style and discipline of Vinyasa flow : integrating the movement of the body to the rhythm of the breath to connect to the beauty, strength and grace of the body with a deep understanding of the science of alignment based on Iyengar and the life-affirming essence of Anusara. Inquire and Inspire stands out from other programs for the first and most important reason that Erica Blitz was true to her word! 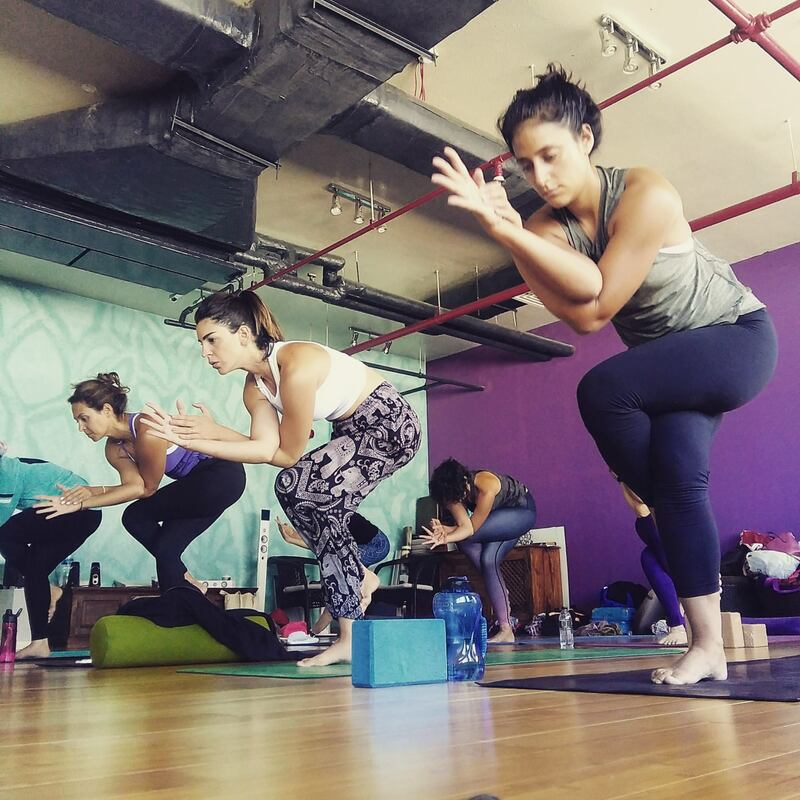 I was given the opportunity to deepen my own yoga practice while confidently equipping myself with the knowledge and tools to be able to teach yoga to others. 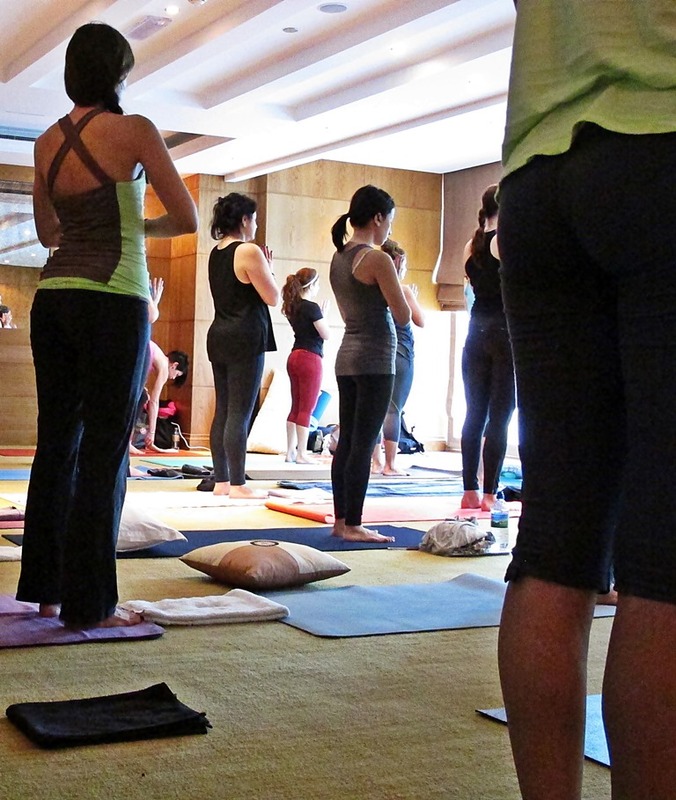 The balance between yoga as a science, a philosophy and an art was intricately woven into the teaching. 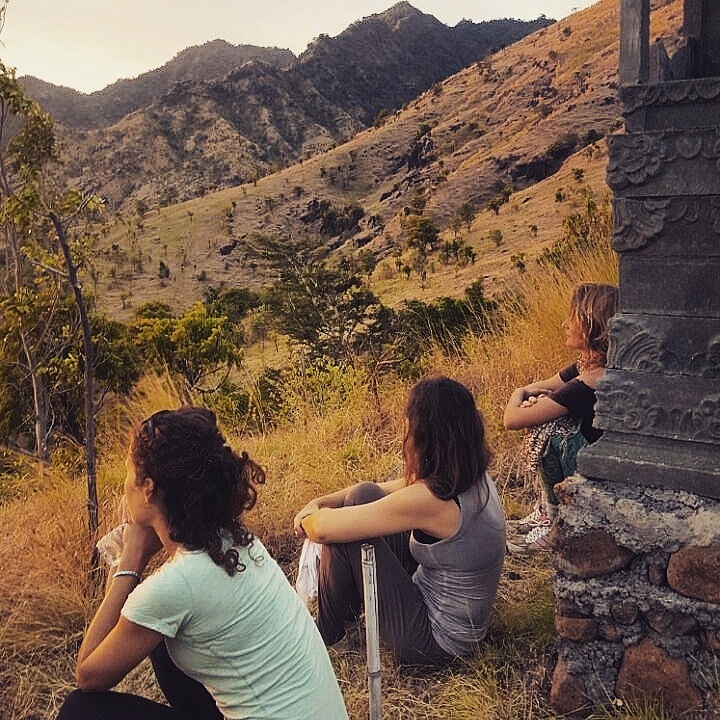 Moreover, although an ancient practice, the relevance and need for yoga in the world we live in today was very compelling and thought provoking as was witnessed in our daily meditations, discussions and practice. 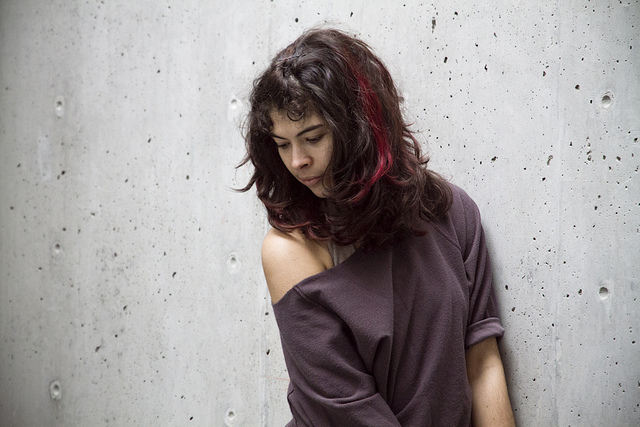 Furthermore, as a mother of four, musician and music educator, the teachings, tools and techniques that I learnt from Erica were far beyond what I expected and without a doubt could be used in every aspect of my life…for this I am eternally grateful. 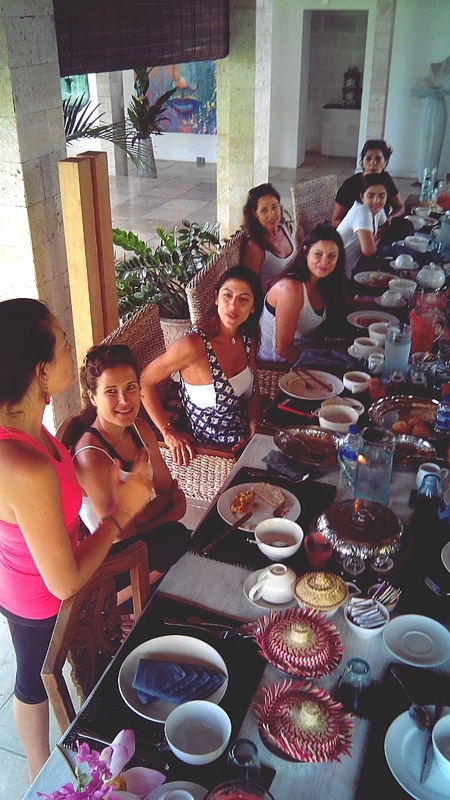 Without any fail I want to let you know that this experience with Erica Blitz (organized by lovely Noura El-Imam) is like experiencing the best thing or the best investment I have ever thought of. This is and will be the best and first most important teacher's training experience for me, which will always stay close to my heart and add memories in my journey towards yoga. 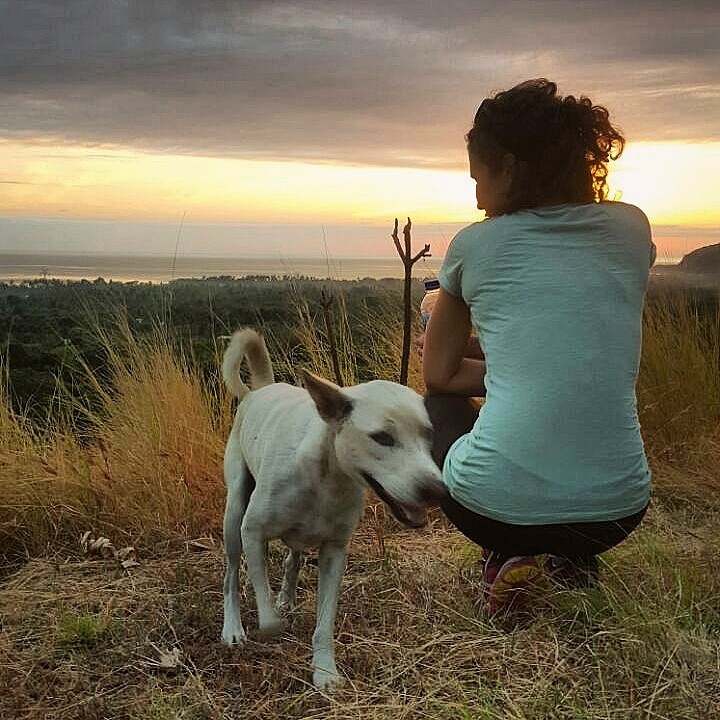 Erica has an amazing way of teaching and her experience that she has shared with us can't be described in words. 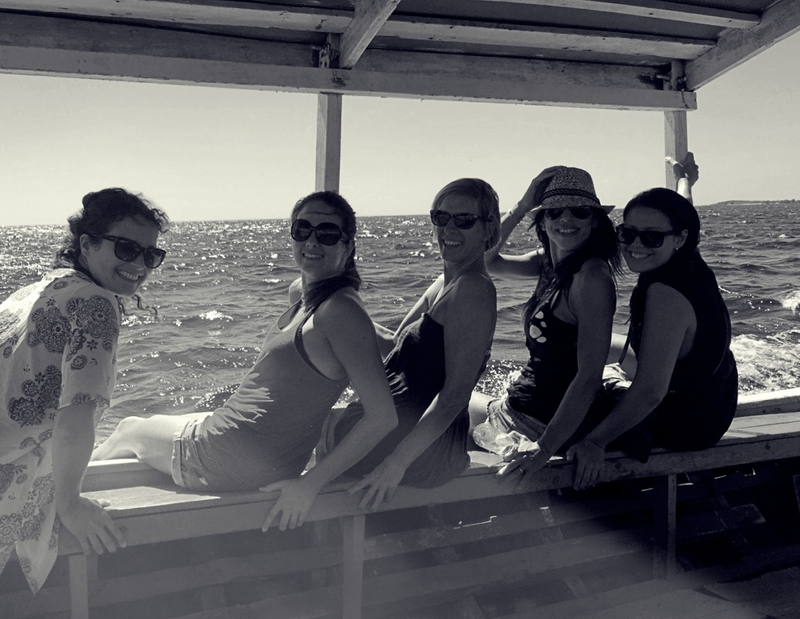 This experience is more than just taking a training. It is something that can't be expressed in words. I feel I have done one of the best thing in life by being her student. 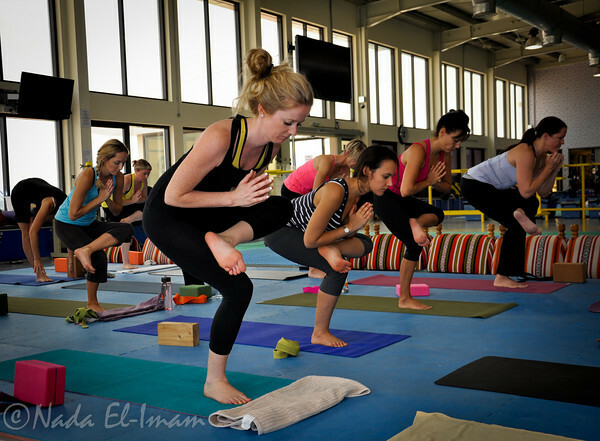 Just a few short months after taking my 200hr Yoga Teacher Training in Dubai with Erica Blitz, I am teaching yoga several times a week in Doha, and after almost a decade and a half of dreaming of being here - it feels beyond amazing to finally be able to do what I love and help others discover their connection with their bodies, breath, and deepest selves on the mat. 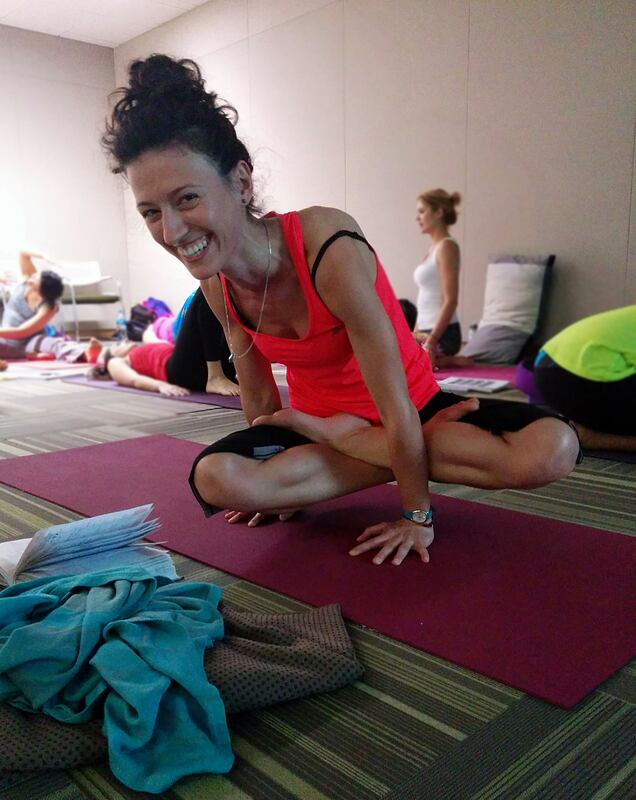 Erica is an incredible teacher whose compassion, grace, humility and clear heartfelt connection to the study, teaching (and living) of the true essence of Yoga was clear to see and feel in every moment of our training. 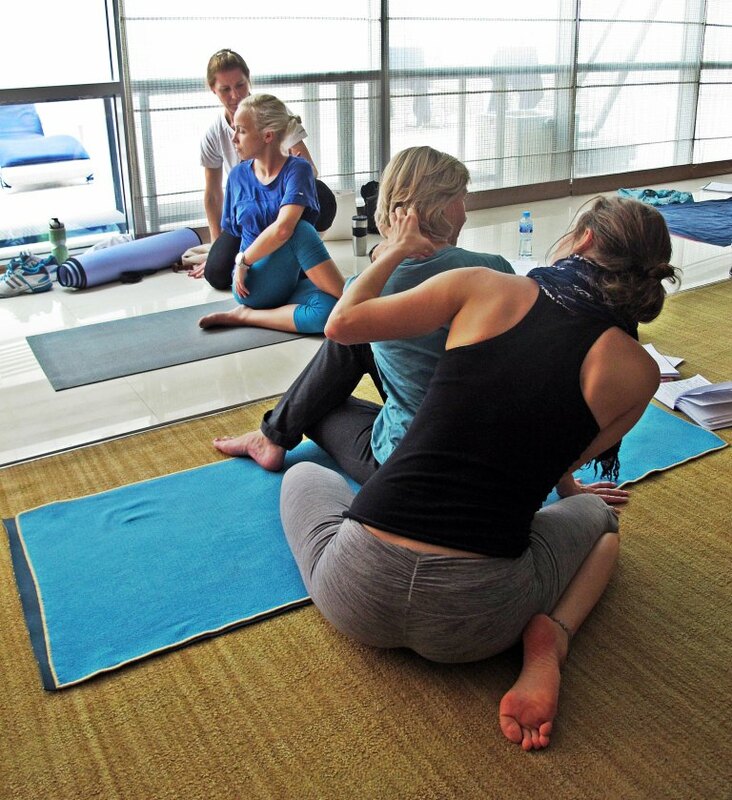 I was deeply humbled, blessed and grateful to have been able to study under someone whose dedication to their calling was so clear and compelling, who was able to create such a safe space where lifelong friendships were created, and whose expert instruction, attention to anatomy, precise cueing and the nuances of yogic philosophy (while also encouraging playfulness and ease on the mat), created such a well-rounded, fulfilling and nourishing experience. 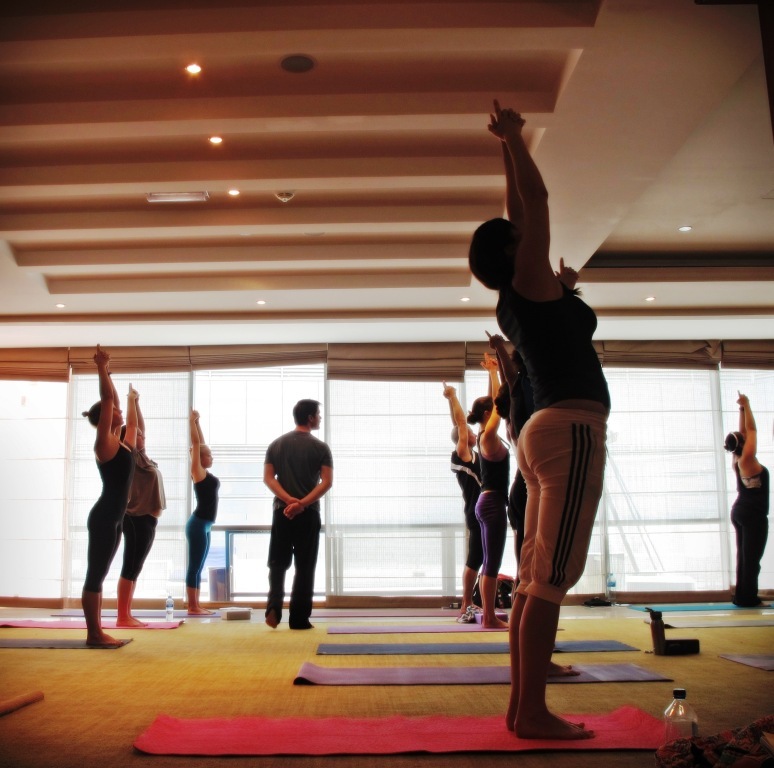 The focus on Hatha yoga as well as the Vinyasa style was a solid base that created a very full, expansive viewpoint to study and teach from. 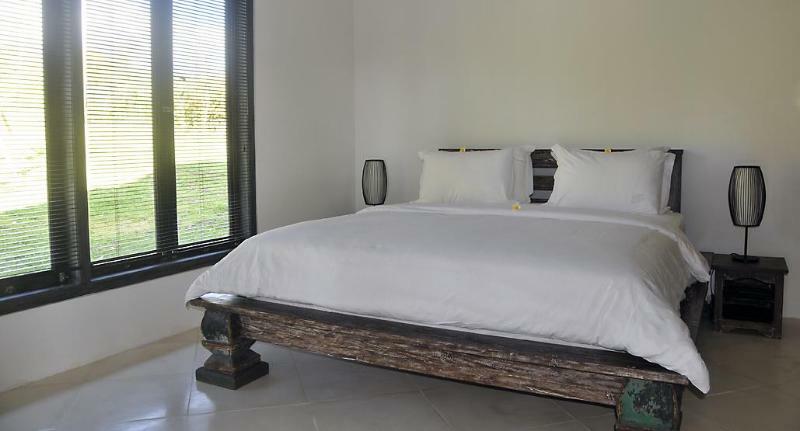 Picture this: Waking up to the sounds of nature and a panoramic view of volcanoes and mountains. 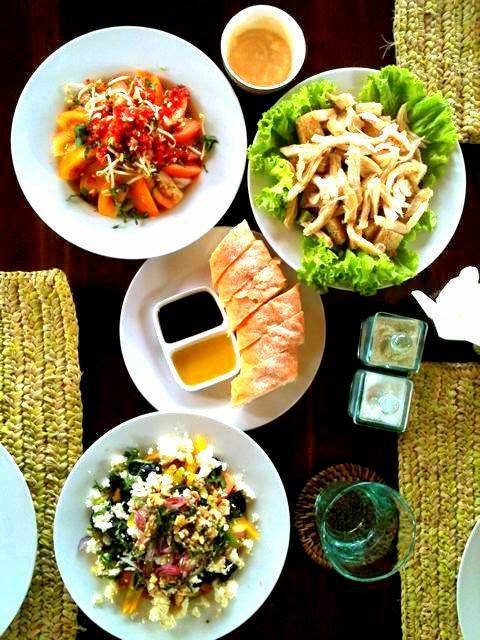 The smell of heavenly mouth watering breakfast being prepared. 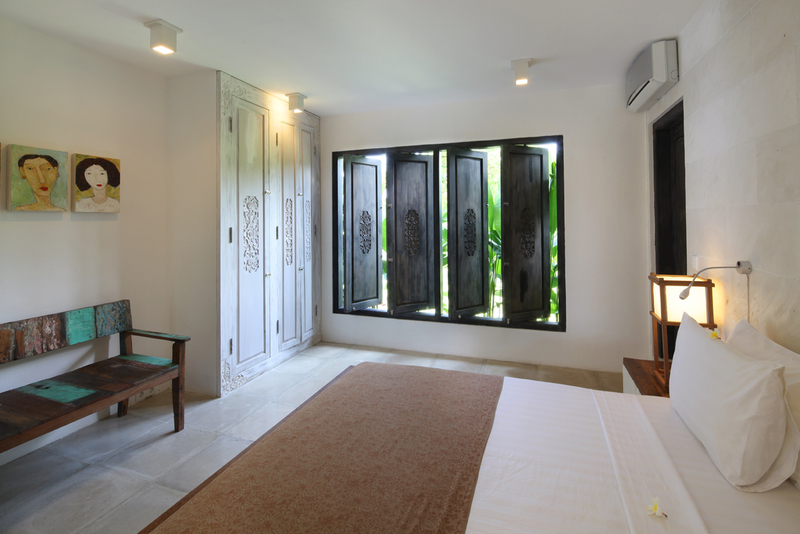 A barefoot walk to a semi open air studio as you roll out your yoga mat to salute Java's volcanoes. 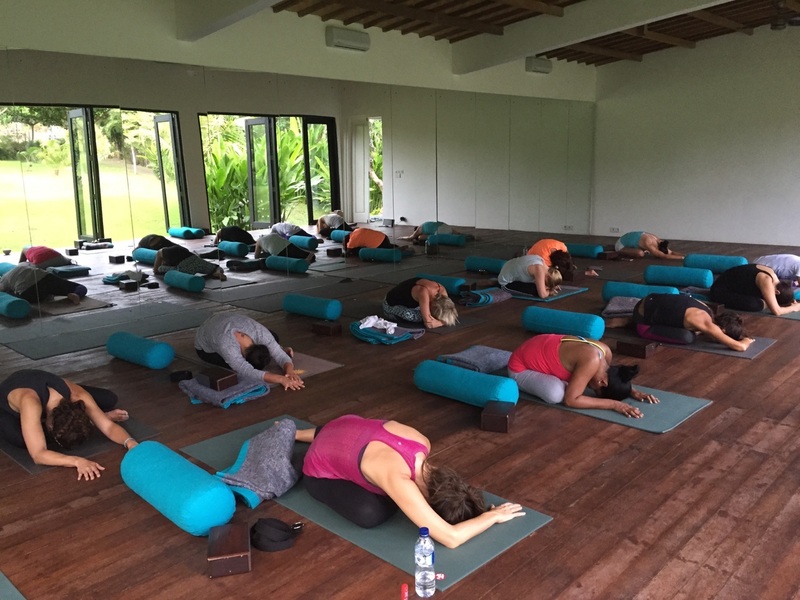 Our first Yogalates Bali Bliss retreat led by Kim Danoher of Phoenix Rising, welcomed 12 clients who were eager to jump-start and boost their yoga practice, relax by the villa's private pools, have a lifetime of an adventure, and reboot their 5 senses. 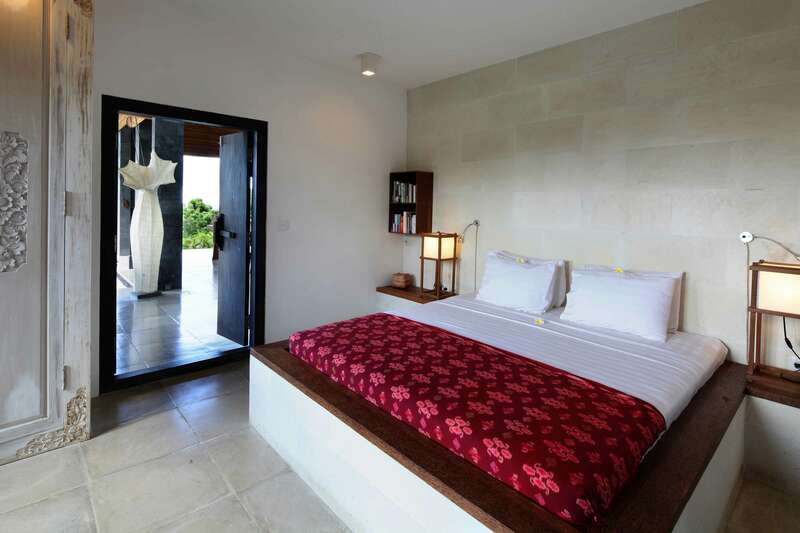 Jeda Villa was specifically highlighted as "off-the-beaten track", located far away from the chaos of the densely touristic areas in Bali, to allow our guests feeling and leaving empowered, fully recharged by nature's powerful inbound spiritual energy that brings peace and harmony. 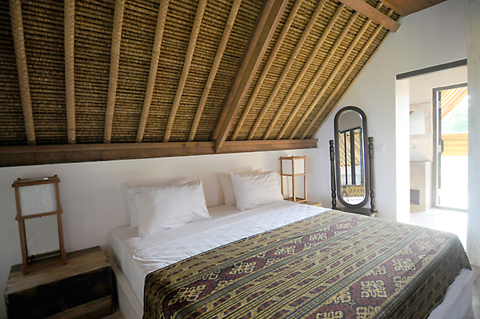 “Jeda” is an Indonesian word meaning “Interlude” or a break from reality, a heavenly getaway from the stressful life, which is a wonderful indulgent way to deepen your soul searching practice in the beautiful environment of Pemuteran, a well known scuba diving + snorkeling spot in the north-west of Bali. 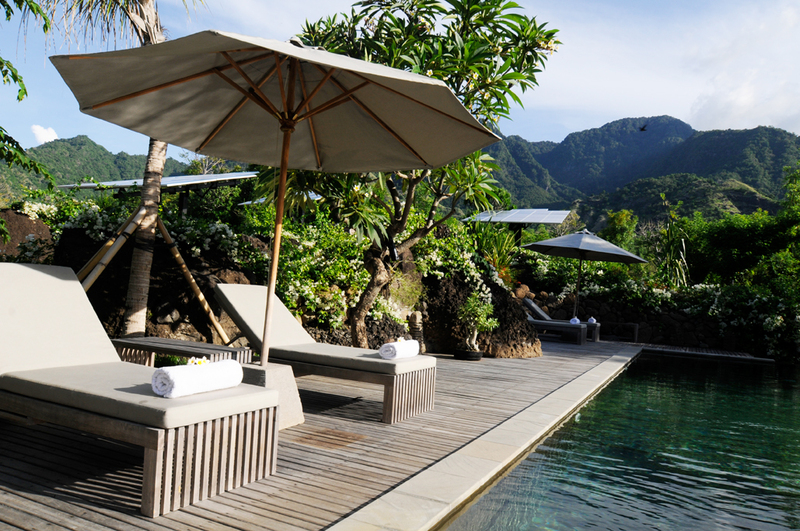 The days were infused with yoga, snorkelling, waterfall adventures and delicious raw cuisine whipped up our private in-house chef over an unforgettable Balinese traditional dance and a welcome ceremony by the locals. 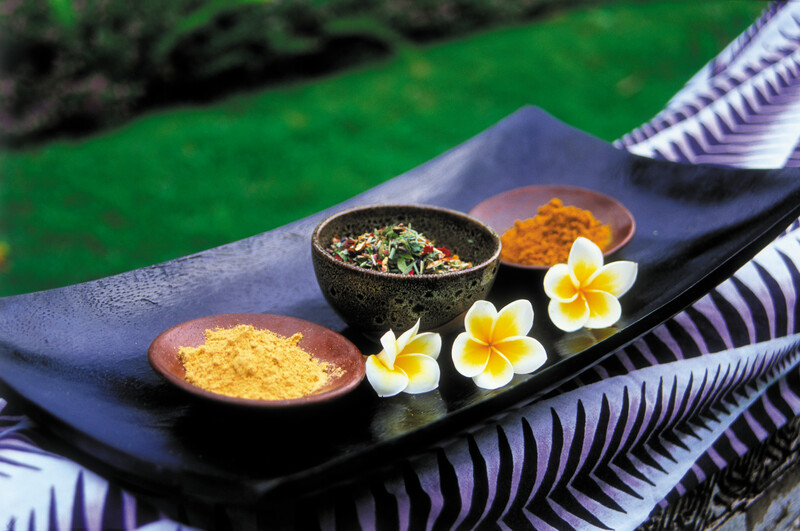 A complimentary spa treat was the icing on the cake along with new friends made! 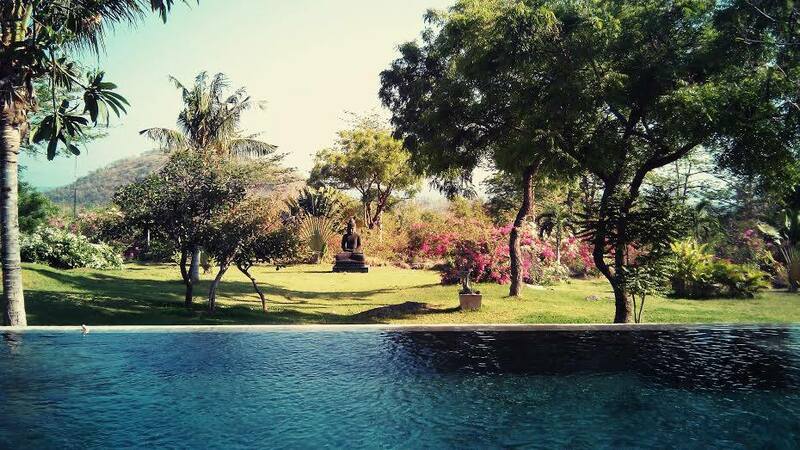 There has not been a day that has gone by that I have not, not thought about Jeda Villa and Bali – both are really special places and hold a very special place in my heart.I had the most amazing time; I have never been fully relaxed like this in a very long time. Clara Roberts-Oss (www.lilavinyasa.com) invited our participants to explore deeper into the core's common myths, misperceptions and different techniques on how to strengthen it drawing from Ana Forrest Yoga and Prana Flow Yoga by Shiva Rea along with common PT (Physical Training) techniques. Each morning took off with a 2 hour core focused vinyasa yoga practice + different types of breathwork and the afternoons were dedicated to working on every aspect of teaching and how to crafting creative sequences to build power, space, openness and grace towards key peak poses in the "core" family: Inversions (Handstand, Forearm stand, Headstand) and Arm Balances (Peacock, Bird of Paradise, Dragonfly, King Pigeon). 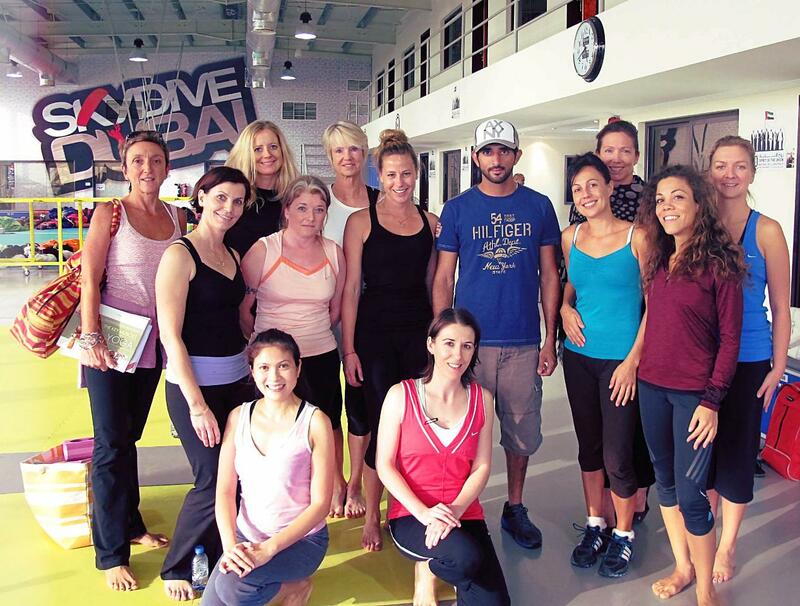 I’ve had the pleasure of attending quite a few of your workshops here in Dubai. 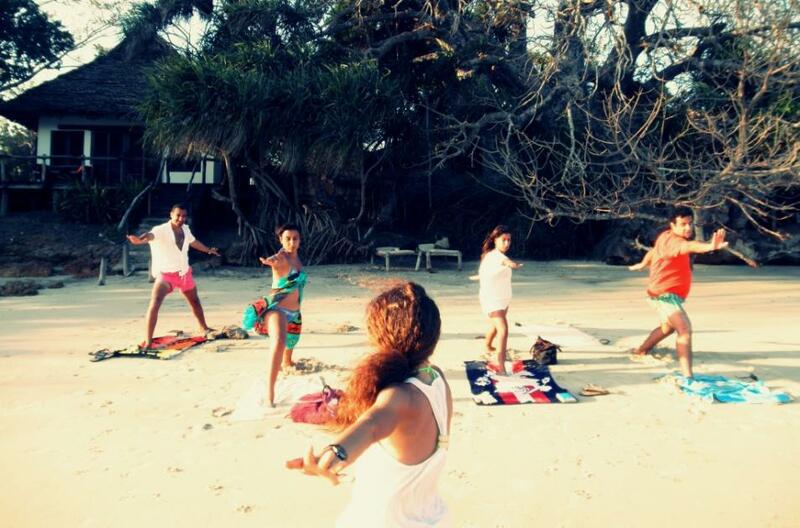 Each one has given me a clearer picture in my yoga experience. My recent workshop with Clara has added texture, landscape and illumination in my mind’s journey - she teaches vibrant color to the sightless. She orchestrates her classes and teachings in a manner that, evokes in your body, exactly what her mind manifests. 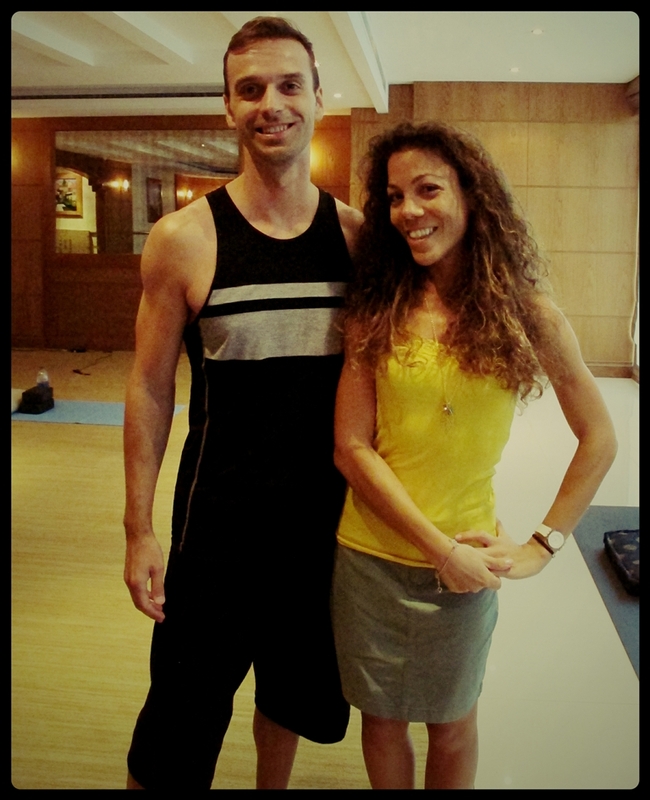 International Yoga presenter and exercise science specialist, Kreg Weiss Yoga (co-creator and co-founder of My Yoga Online), launched a grounding 100 hour Hatha Yoga program in Dubai teaching our participants the fundamentals of how to confidently create a Classical Hatha Yoga practice that weaves in the intelligence and integrity of western science. 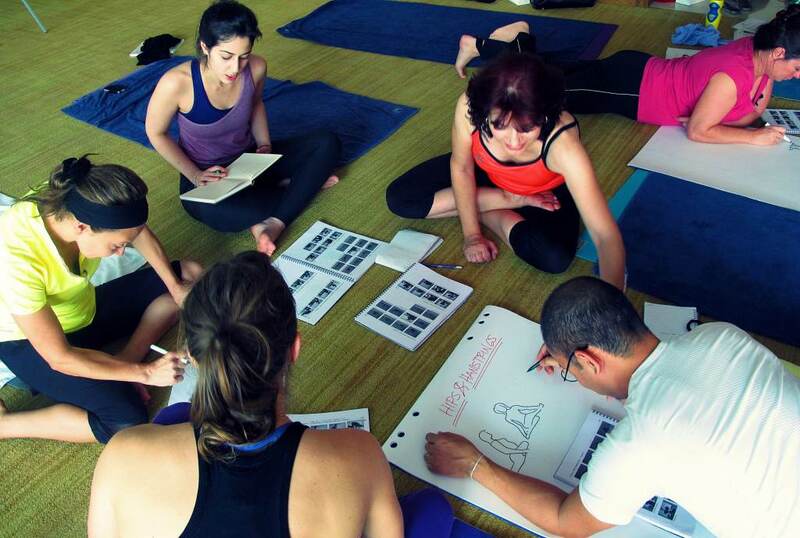 Our training began with an expansive exploration of functional anatomy, journey through in-depth applications of yoga postures, and conclude with multiple days of designing of yoga classes for a variety of clientele and demographics. 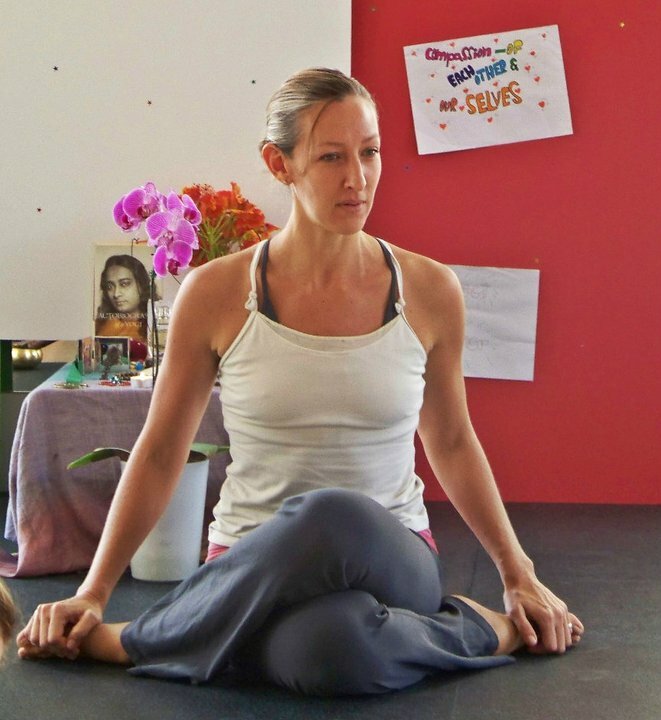 This 85hour (7-das) comprehensive Pregnancy teacher training led by senior guest teacher Sally Parkes (BSc) from London, covers both pre + post natal and is grounded in sound physiology and anatomy as well as the more subtle aspects of yoga, the aim of which is to offer guidance towards a woman’s very special journey of pregnancy into motherhood. 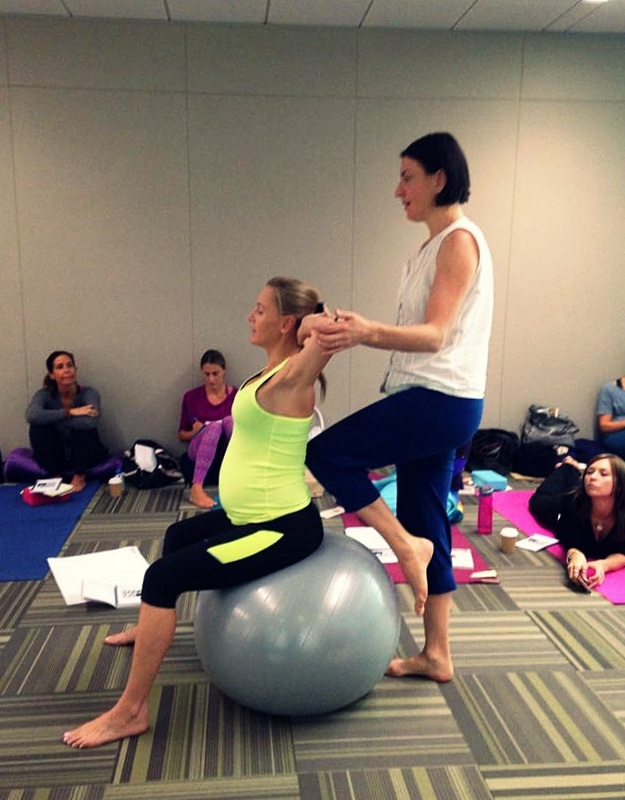 Sally's goal is to offer support and guidance to our trainees so they are fully equipped with the knowledge and expertise to deliver safe, effective and uplifting classes and one to ones. 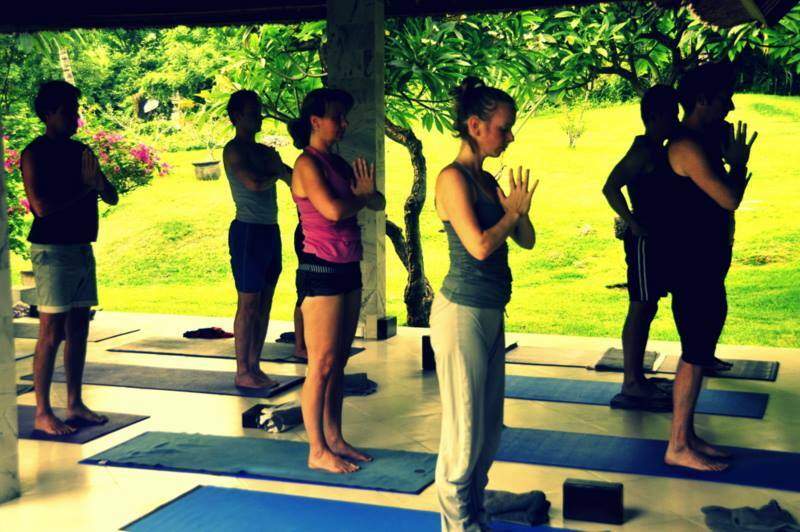 This is achieved via a combination of appropriate asana, pranayama, mudra and visualisations. 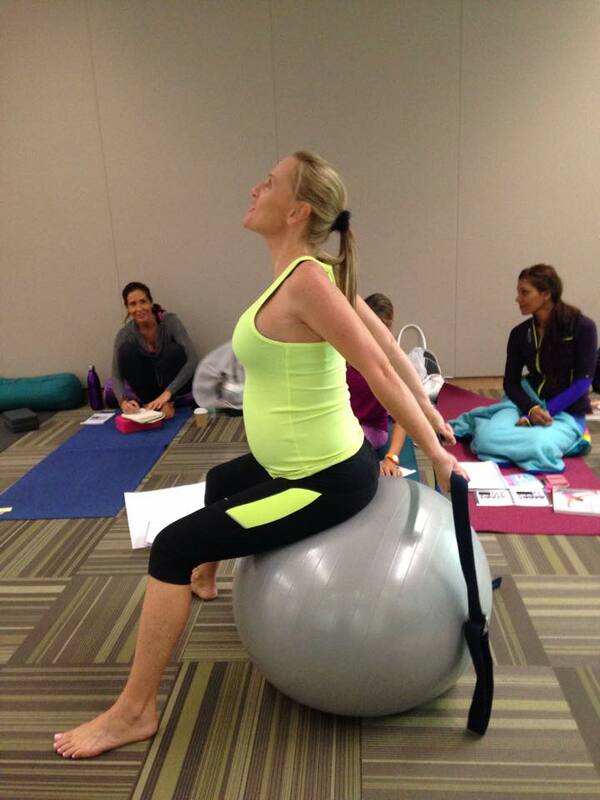 The fourth trimester (postnatal stage) is also covered in great depth with topics on how yoga and methods developed from Sallys’ knowledge of Pilates and gentle exercise rehabilitation, can assist a mother's post-natal recovery. 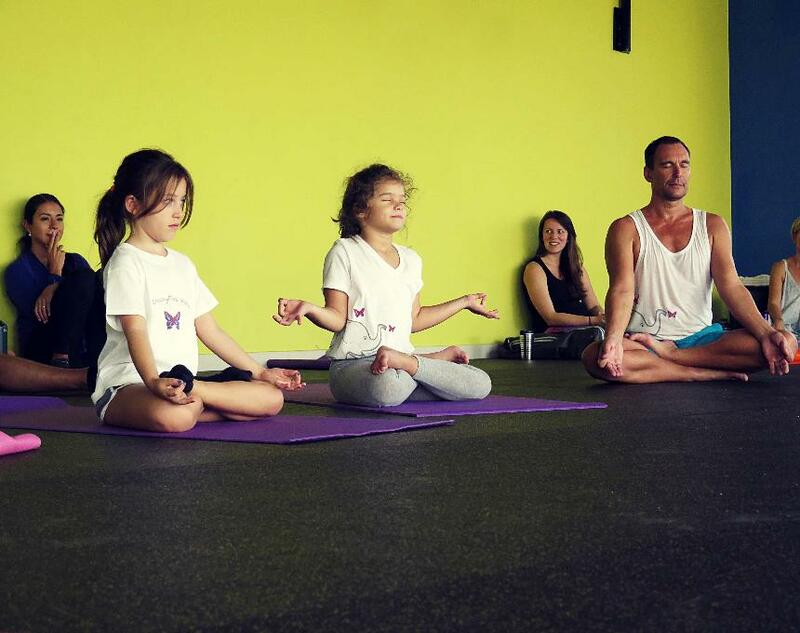 GroovyKids Yoga Teacher Training program revolves around different approaches to teaching yoga to kids from the logic, sequencing and benefits behind each approach and it’s effectiveness in different settings, be it in a dedicated yoga studio, a school, a small group class in a private home or even individual private classes. Participants had the hands-on training in real live setting with children taught by Greville on day 2, for a deeper and more confident understanding. 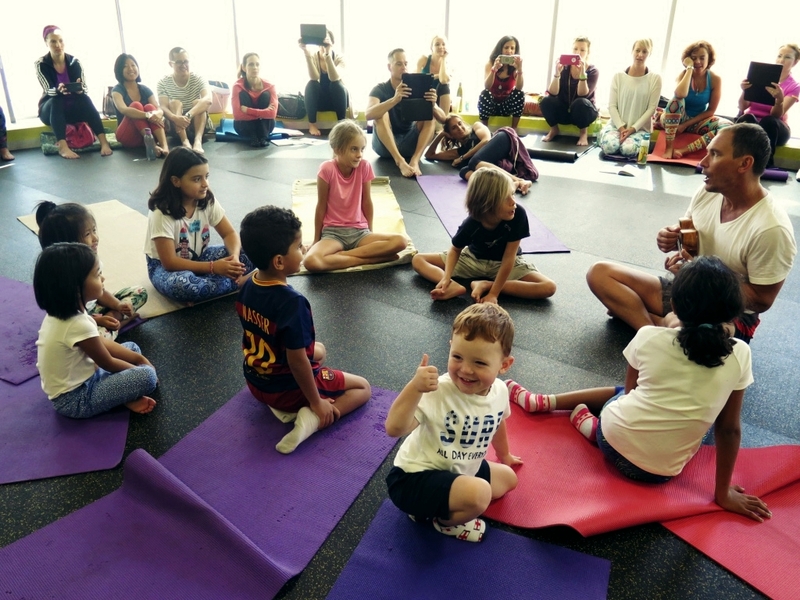 This training opened the doors to moms, yoga teachers and school teachers having them walk away with a solid foundation in putting together a creative, joyful and intelligent GroovyKids Yoga sequences! 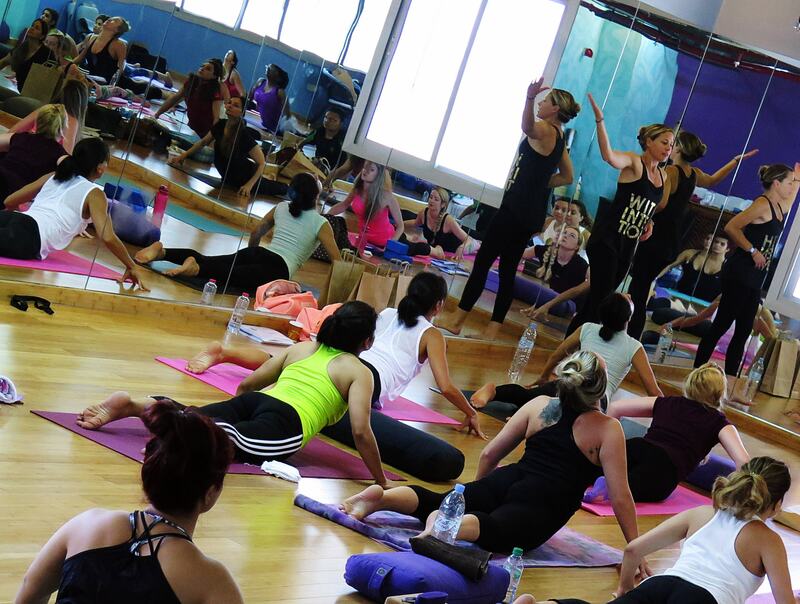 Back to Dubai for a second 200hour Yoga Teacher Training, Erica Blitz led yet, another stellar training teaching and graduating 26 students on a four-week intensive Yoga Alliance Approved Teacher Training (Teaching School: Inquire + Inspire). 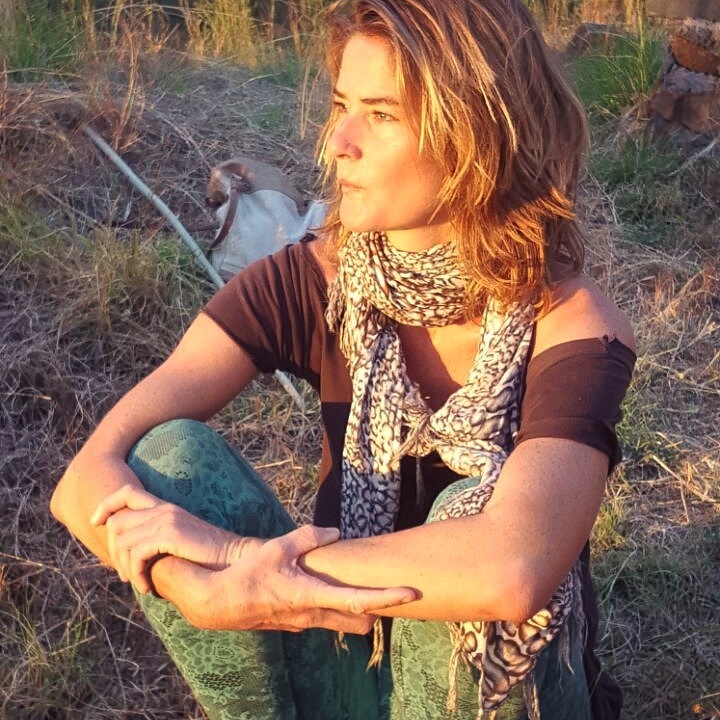 With the deepest intention of inspiring others to cultivate personal power, Erica's teaching are known for being insightful, fun and challenging. 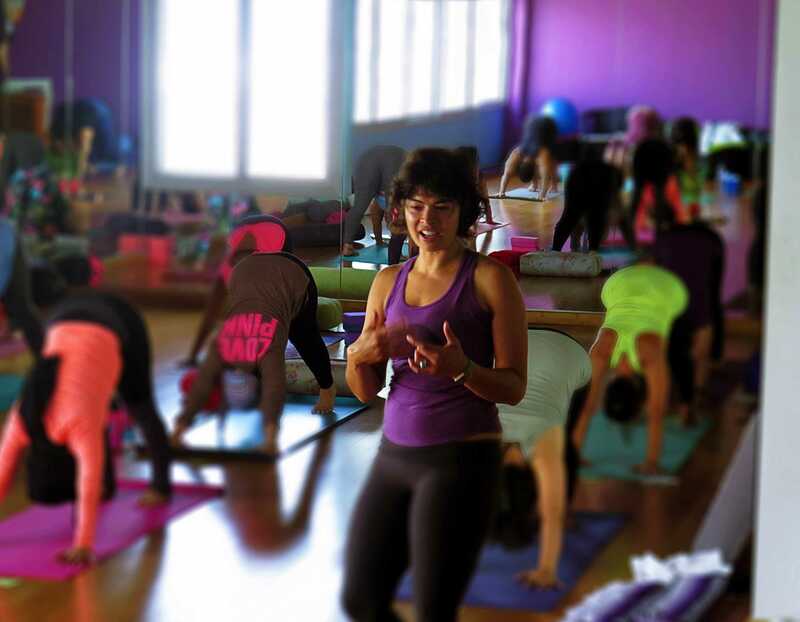 She uses the arena of yoga to challenge her students to explore their potential on the mat and take that playful curiosity into the rest of their lives to spark a sense that anything and everything is possible. 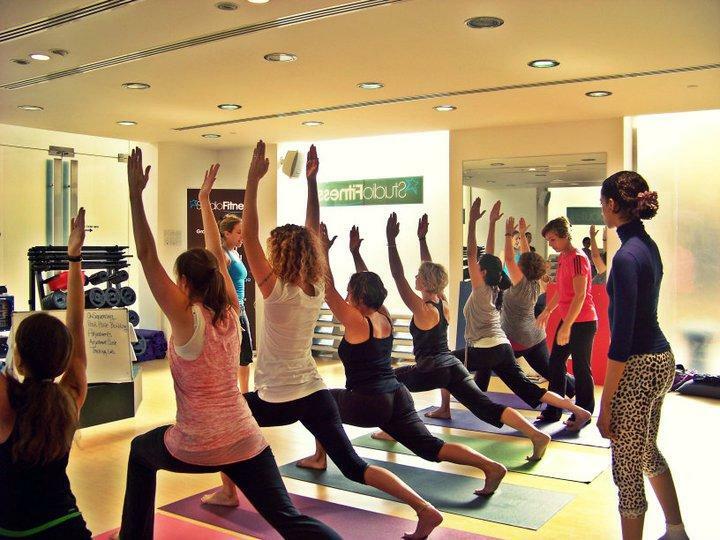 Much more than just a certificate, all participants graduated with a strong understanding of the science of alignment, the astuteness of Ashtanga, the creative flow of Vinyasa, and the life-affirming essence of Anusara. 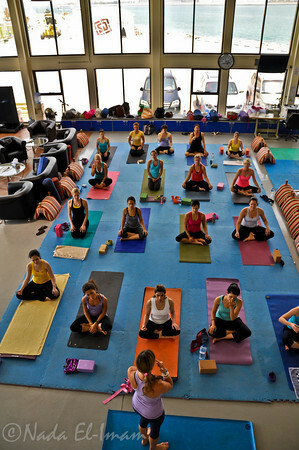 Classical hatha yoga is the foundation from which all genres of yoga evolved. 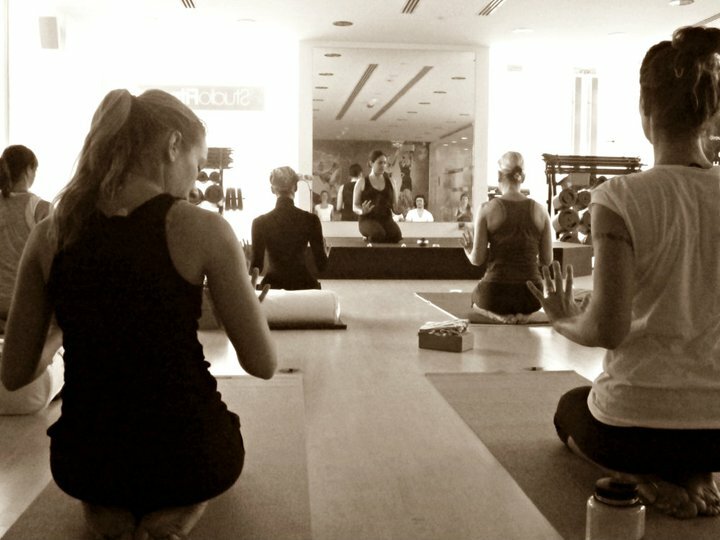 This 30 hour (4 day) teacher training series led by Kreg Weiss, a certified Hatha Yoga Teacher and Kinesiologist (exercise science) based in Canada and the co-founder of My Yoga Online, the leading global resource for online yoga videos, explored an integrative approach of classical yoga for modern day applications. 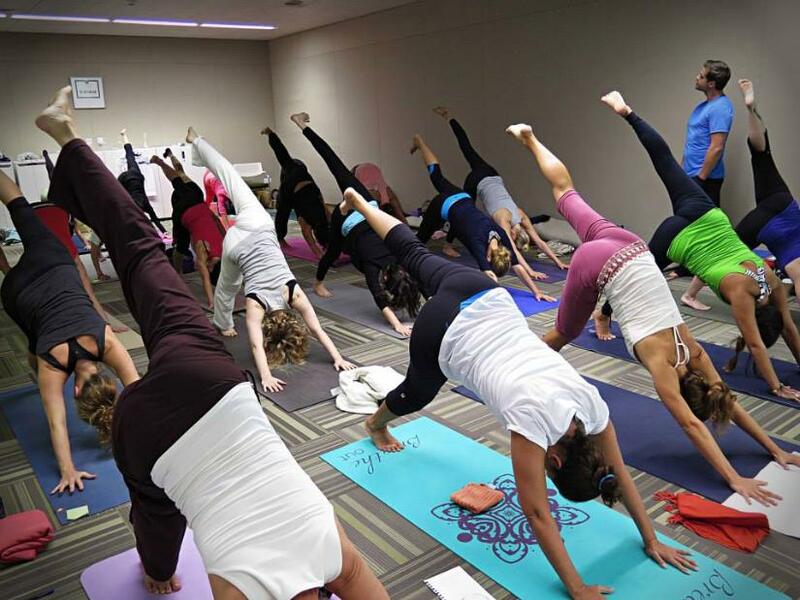 In this program, students learned how to build a hatha sequence from the foundation of classical postures to create unified yoga practices that are functional, safe, intelligent, invigorating, accessible and relevant for a wide range of demographics. 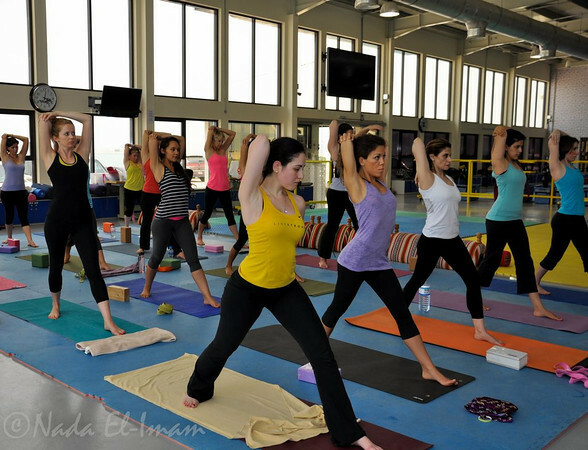 "I’ve often been told that yoga is for everyone. 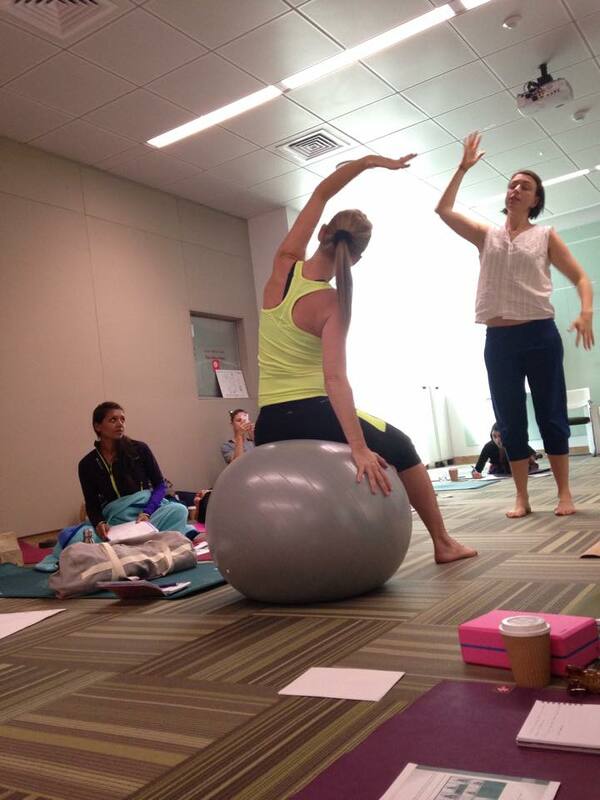 As an aspiring teacher who’s beginning her own journey, I wondered about the accuracy of that statement, and the depth of knowledge necessary to assimilate students into a practice that was safe and right for each of them.I found, and began following Kreg Weiss' blog after I injured myself. 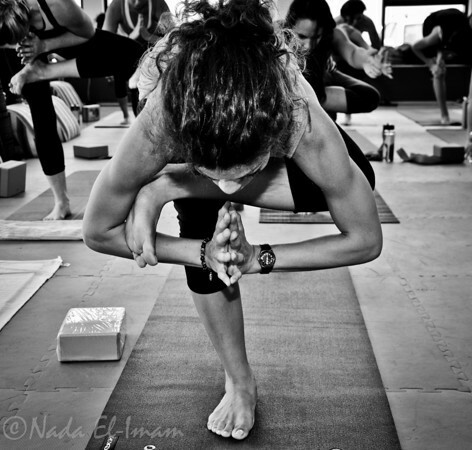 I ached for practical advice about the biomechanics of my own body, relative to my yoga practice. 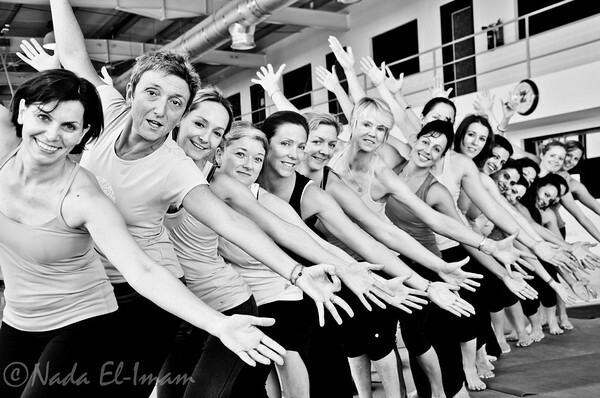 I’d already heard wonderful things about Noura El-Imam, and signed up for the 2013 summer 200hr Vinyasa Teacher Training. Thanks to all of the positive buzz about workshops she’d facilitated here in Dubai, once Kreg’s 4 day intensive was announced, I knew I had to be there. He did not disappoint. 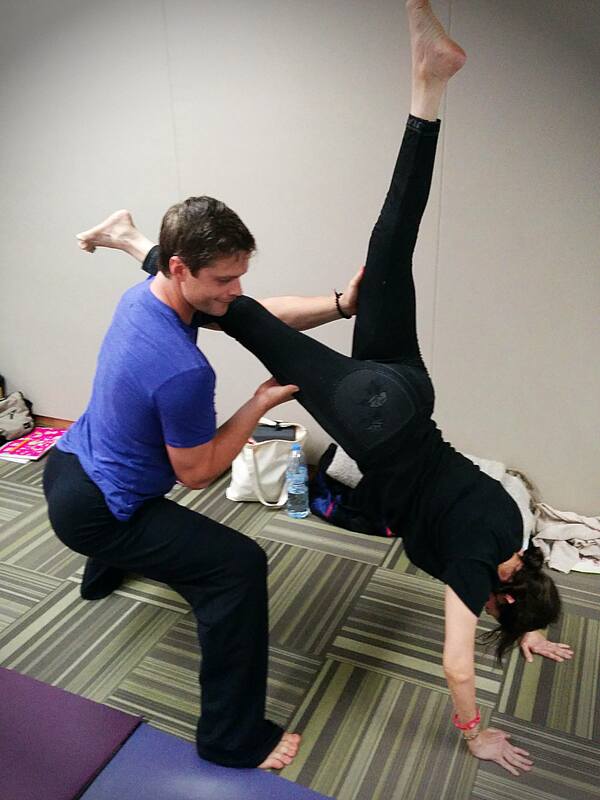 He teaches with the same passion and vigor that initially captivated me in his blog. The information at first glance appears dense and complex, but he breaks down all facets of his seminar with meticulously crafted presentations that are chocked full of well-labeled diagrams, and his own personal notes to guide you through each discussion. He injects humor and humility into every aspect of his training program. It is like having coffee with a friend; the crazy good kind of friend, that overflows with so much love for what they do, that their passion pours through them whenever they talk about it...you can’t help but to follow their lead. Kreg also made it a point to make himself available for discussions, individual guidance and post-seminar Q&A. 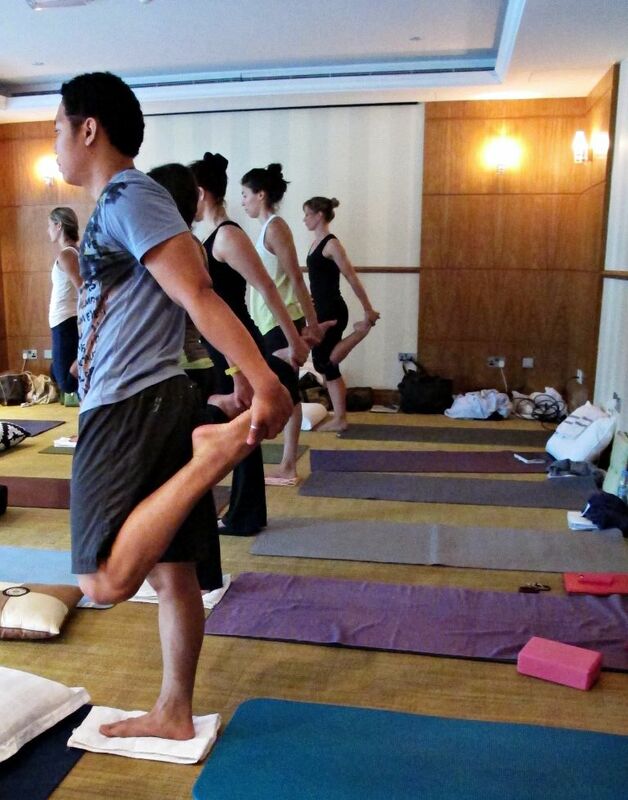 This foundational training led by David Magone - founder of Pranavayu in Boston, invited our participants all of the basic skills and techniques needed to begin offering their own dynamic Pranavayu Vinyasa yoga classes. 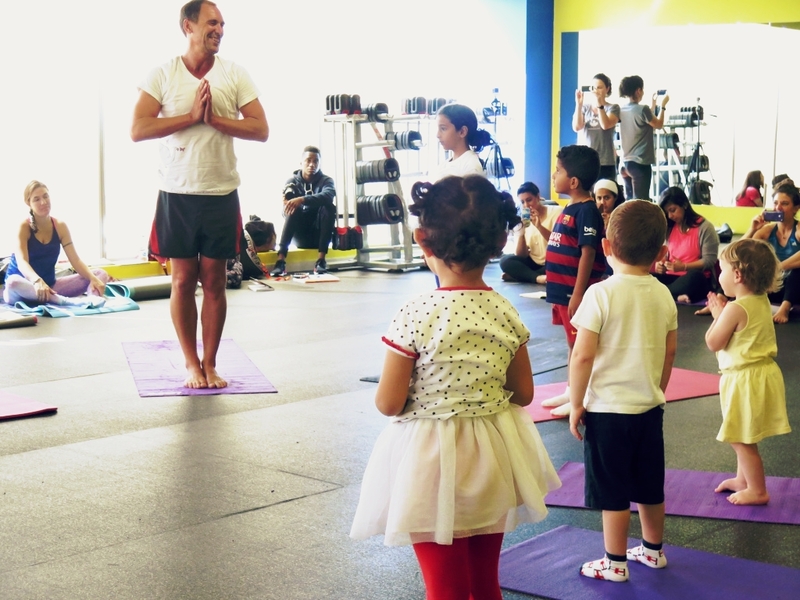 Since establishing the PranaVayu style in 2001, David Magone has spent most of his time developing more efficient ways to practice yoga. 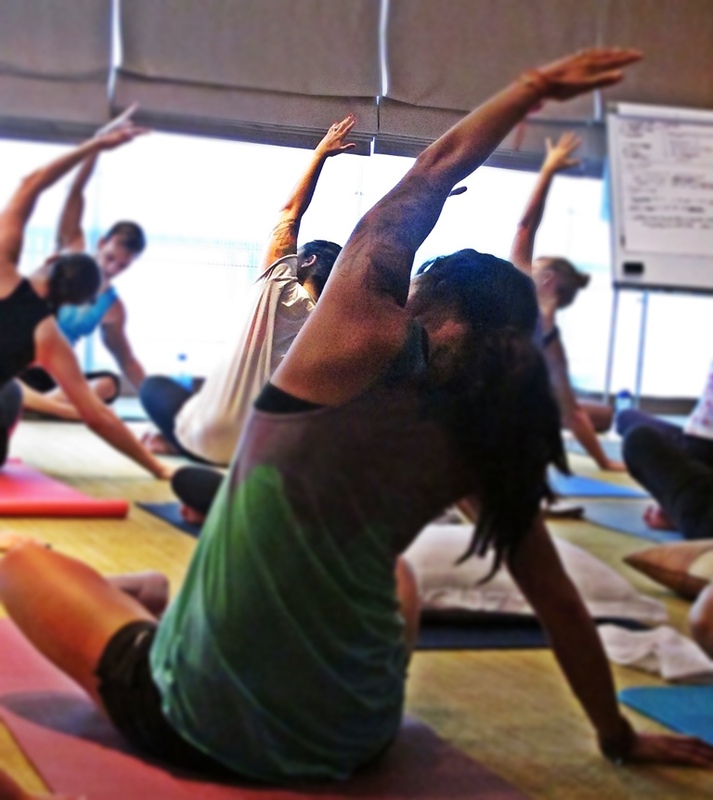 PranaVayu, a unique style of Vinyasa yoga that is at once both physical and meditative in nature, was designed to lead participants to great heights of physical and mental achievement as quickly as possible. 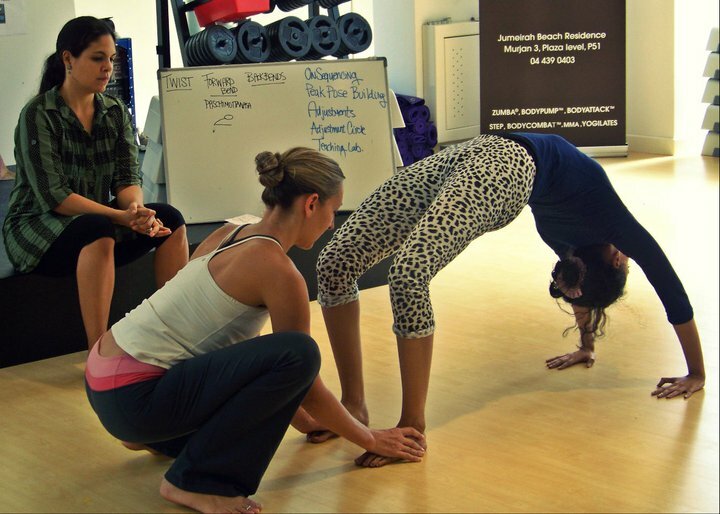 The practice challenges unexamined yoga orthodoxies with its scientific approach to postural sequencing and engineering-based alignment methodologies. 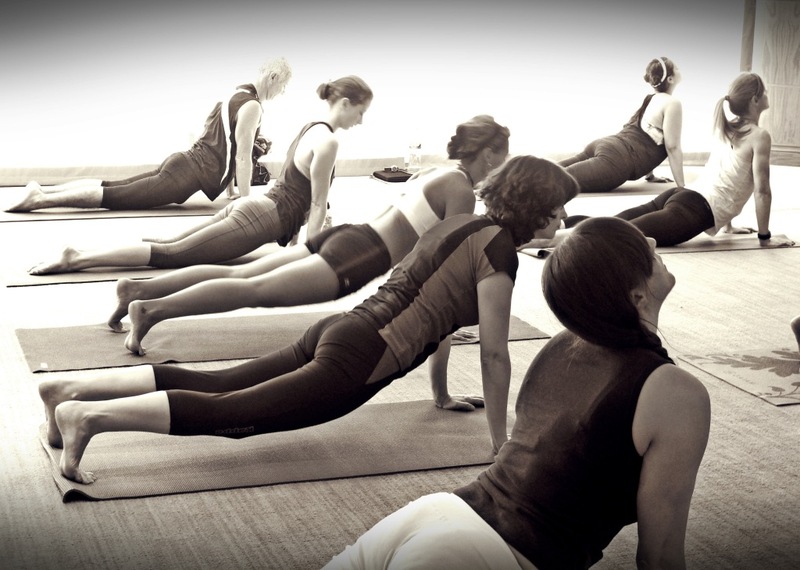 With over 15 students onboard a stellar training with David - also rated as Boston's number 1 Yoga Teacher of 2013, they have come out as strong , confident Vinyasa Yoga Teachers today! The manual was very helpful, well organized with a lot of structured information, pictures and tables. I loved Erica! 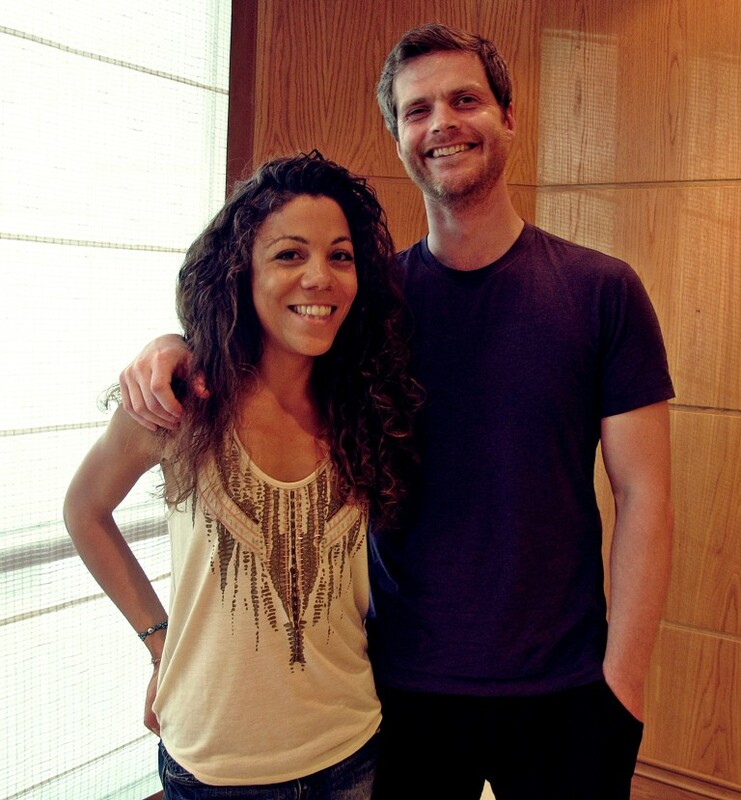 She was competent, professional, supportive and motivating all throughout the training with a big smile! 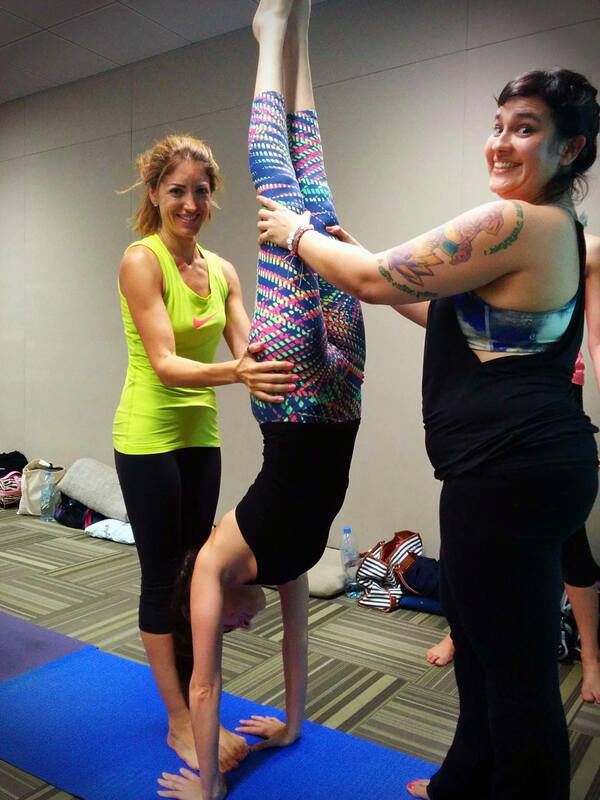 She inspired us and truly made us happy on this yoga teacher's training ~ Dessi K.
Teaching is not only about the learning material you find in a book. A lot has to do with the teacher! Erica transfers all of her knowledge to fulfill the different layers of your being, not only the superficial layer that I was expecting to fulfill. 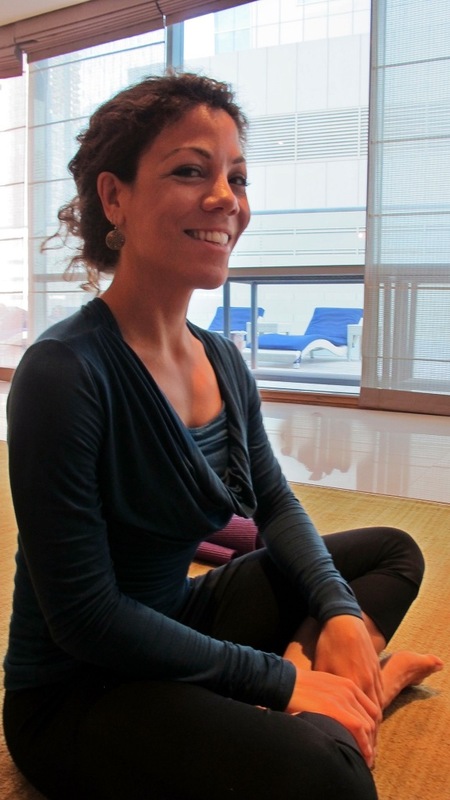 – Jihane G.
This enriching 30hr Yin Yoga workshop led by Corina Benner (www.wakeupyoga.com) booked out, twice, by very popular demand! 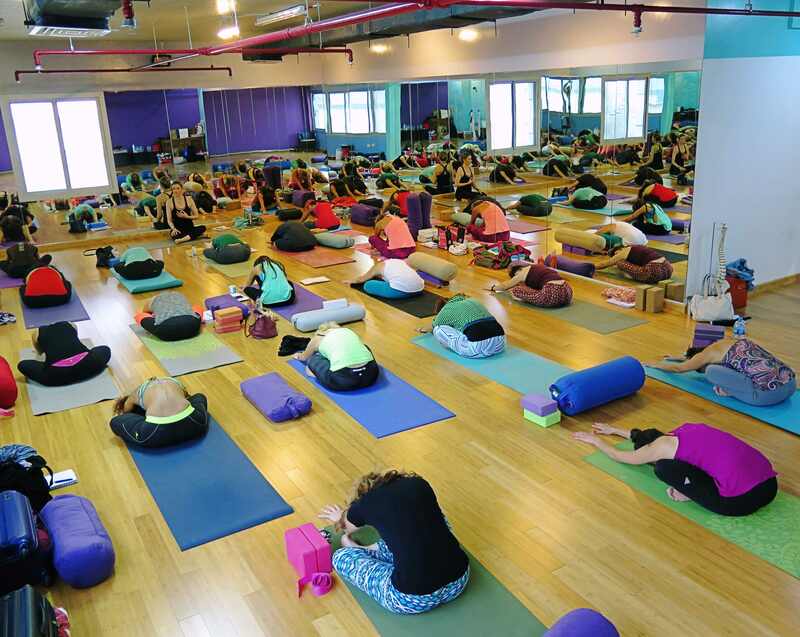 Our students learned how to apply the passive form of yoga into their own practice and infuse the nourishing poses towards a more active Yang class. 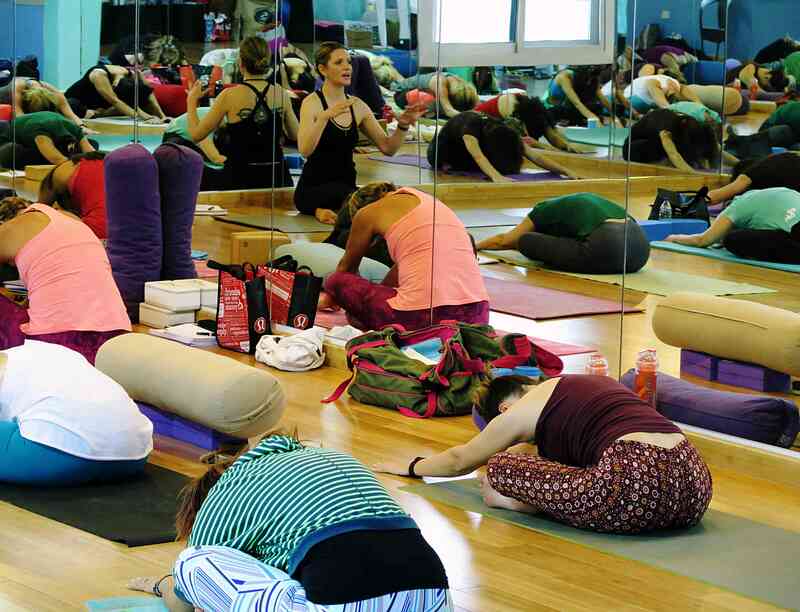 Yin Yoga deeply opens up the hips, enhances mobility in the shoulders and maintains the health and vitality of the spine. "Noura is an absolute dream to work with. 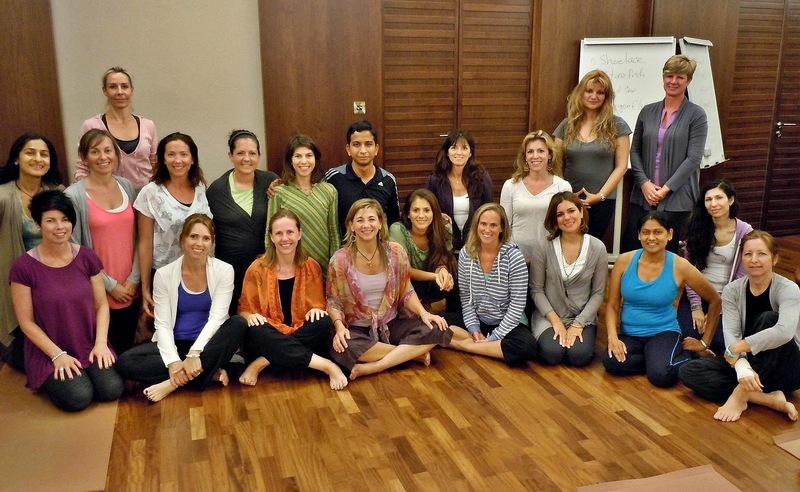 She invited me to come to Dubai to teach a 200-hour Foundational Vinyasa Yoga Teacher Training Program, for which she delivered a room filled with interested students in a beautiful and convenient location. She is a marketing genius, and is absolutely committed to ensuring that the programs she sponsors meet the expectations of the students she enrolls. She met with interested students, fielded all questions and concerns, handled all financial matters in a thorough and transparent manner, and even made sure that each student was able to acquire all of the books on the required reading list. Throughout the entire registration process Noura kept me in the loop, and she also went out of her way to ensure that I was well cared for in Dubai. 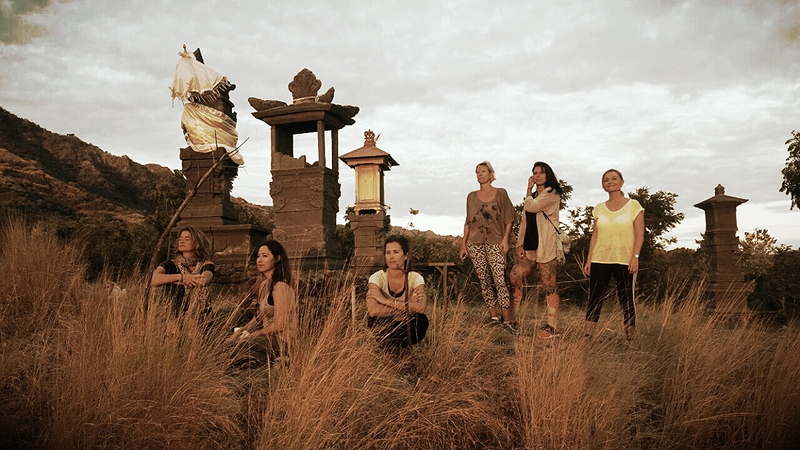 This 200hr Yoga Teacher Training will guide you to experience & free yourself of false limitations and empower you to assist others. 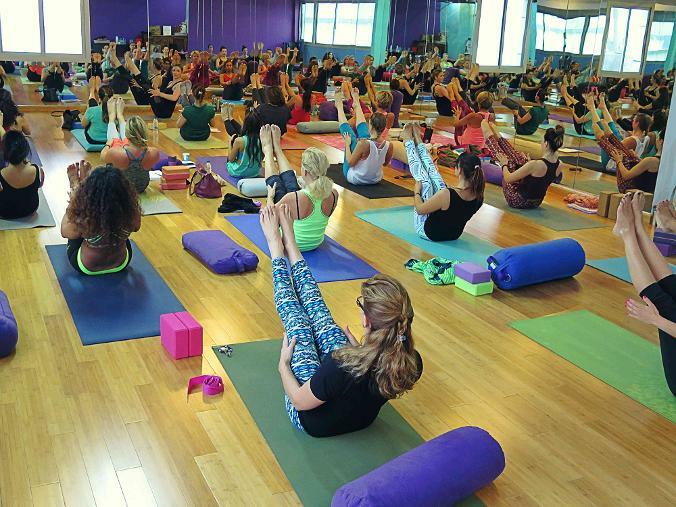 Gabrielle will draw on her extensive yoga practice and training (with dozens of modern masters), and invite you dive deeply into a spectrum of today's yogic styles, including Jivamukti, Iyengar, Ashtanga and more. 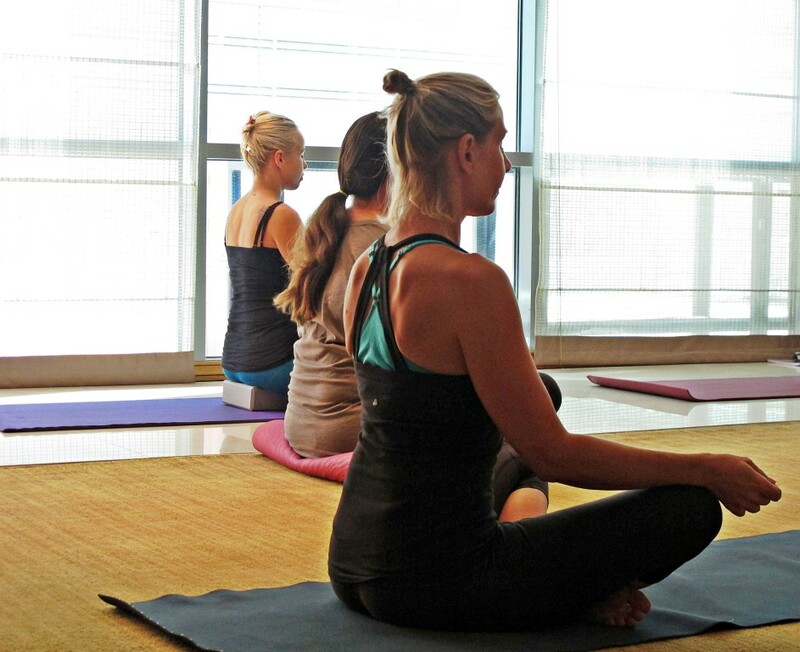 Discover how you share yoga by learning what's come before you. 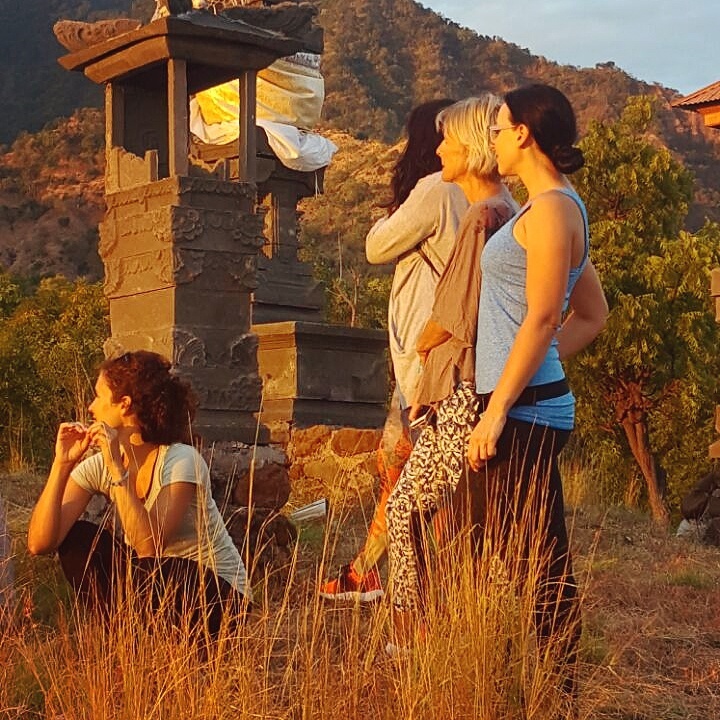 In the training we experience the essence of Yoga through a unique and holistic synthesis of the best possible methods, harmonized through the timeless wisdom of ancient scripture and philosophy applied in a contemporary context. 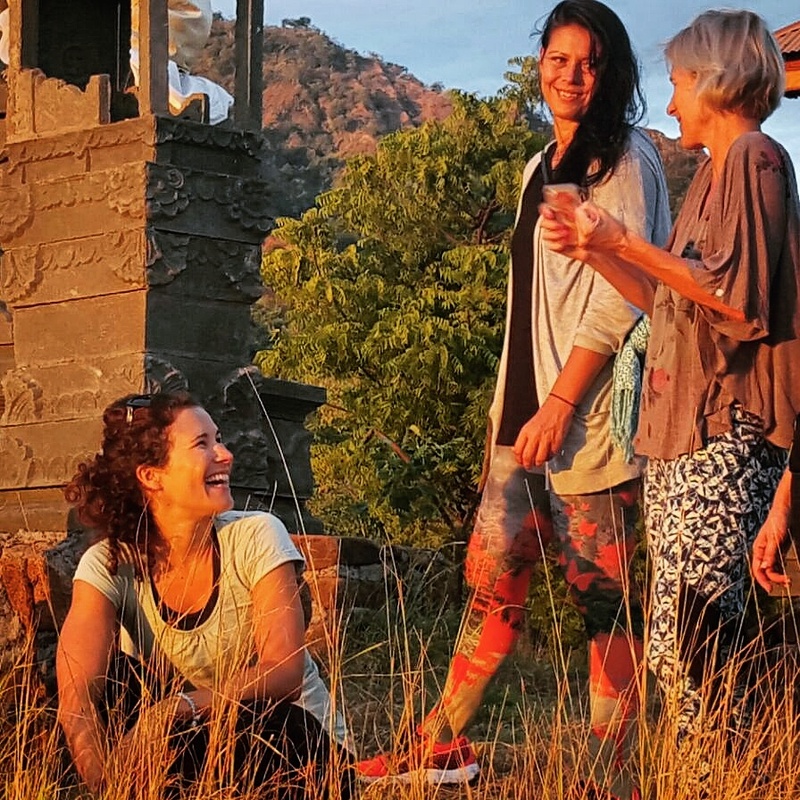 The revolutionary model of the Vibrant Living Yoga Teacher Training intensive benefits from today`s top teachers to illuminate a curriculum that is as thorough as it is diverse.